Standards, such as the Wi-Fi standard for wireless internet, or the MPEG standard for playing videos, are ubiquitous in modern technologies. 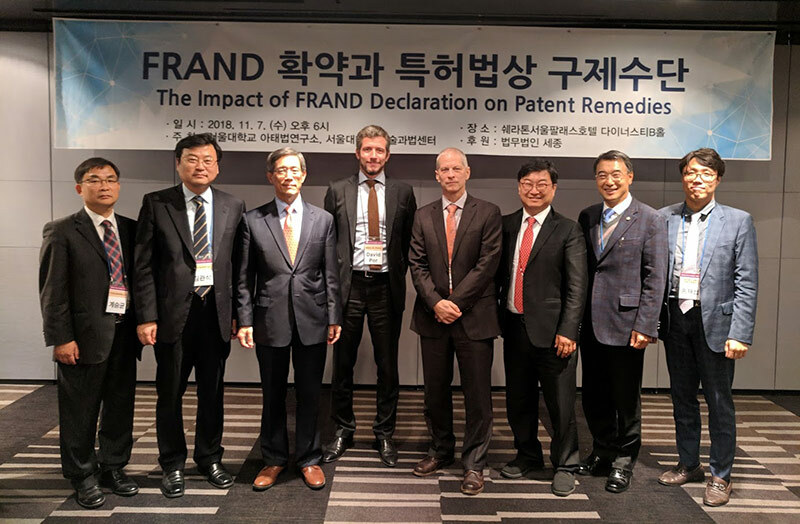 Many patented technologies are essential to implementing such standards, and in order to ensure that firms that implement standards do not get “held up” by patentees, owners of standard-essential patents are generally obliged to commit to licensing their technology on “fair, reasonable and non-discriminatory terms” – this is the FRAND declaration. His blog Sufficient Description comments on recent Canadian patent law cases, and is widely read by the Canadian patent bar. His writing, including his blog, is regularly cited by the Canadian courts.